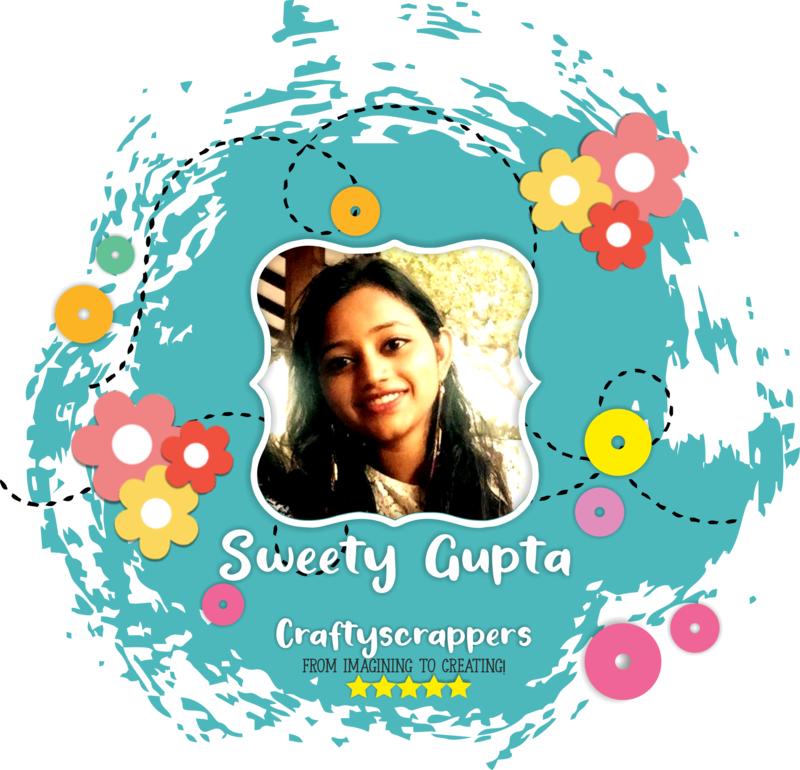 fun foils – Arts n Crafts supply store in India! 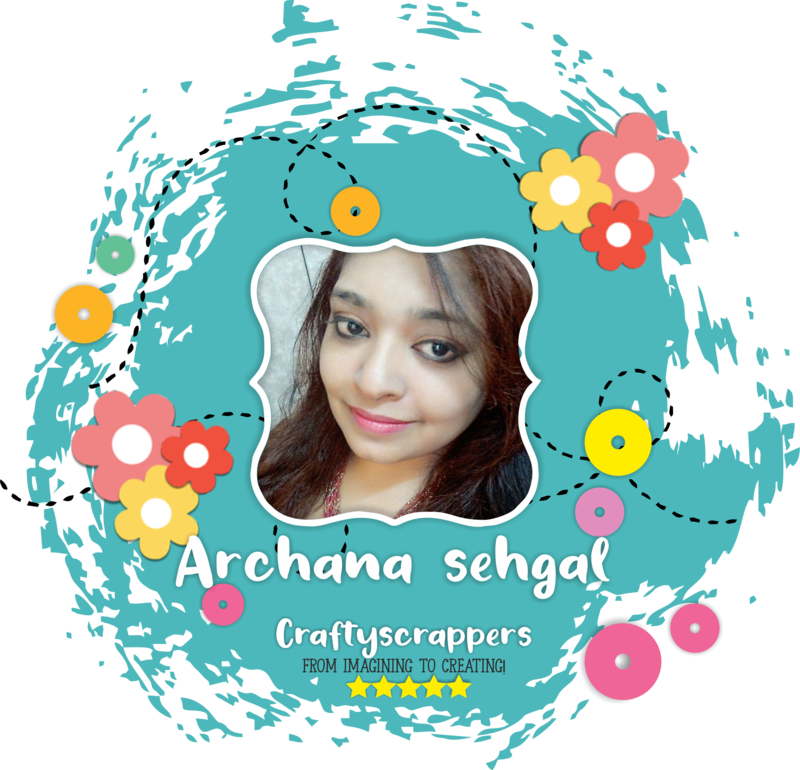 This is Archana here, Creative designer @craftyscrappers, Hope you guys are doing great, and having lots of fun during the festive month.As promised I am back with another mixed media project for you all, So without wasting time lets jump into the challenge inspiration that i have created. 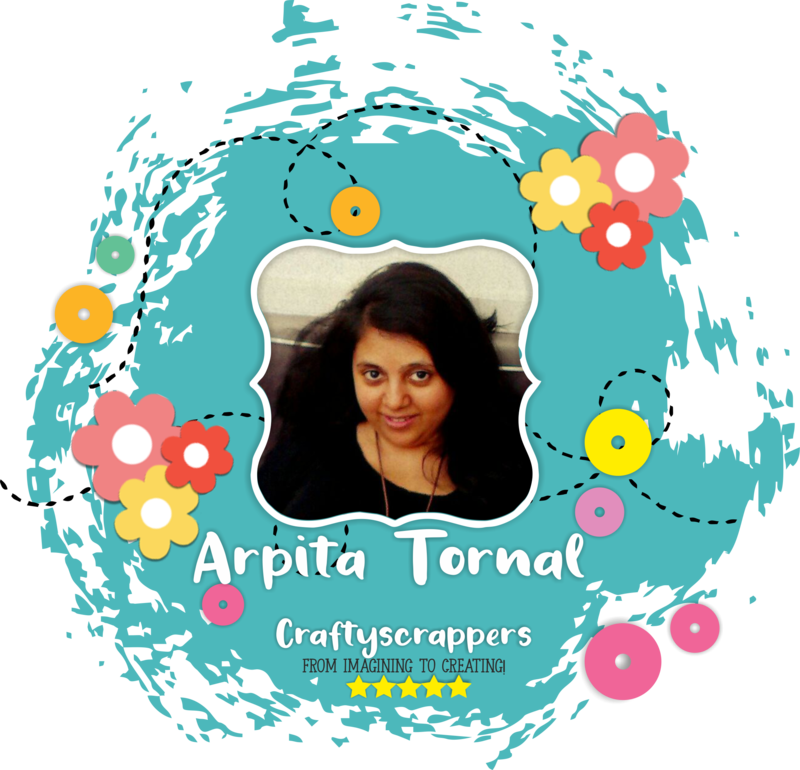 So to create my festive mixed media tag, i have used the following supplies from @craftyscrappers. 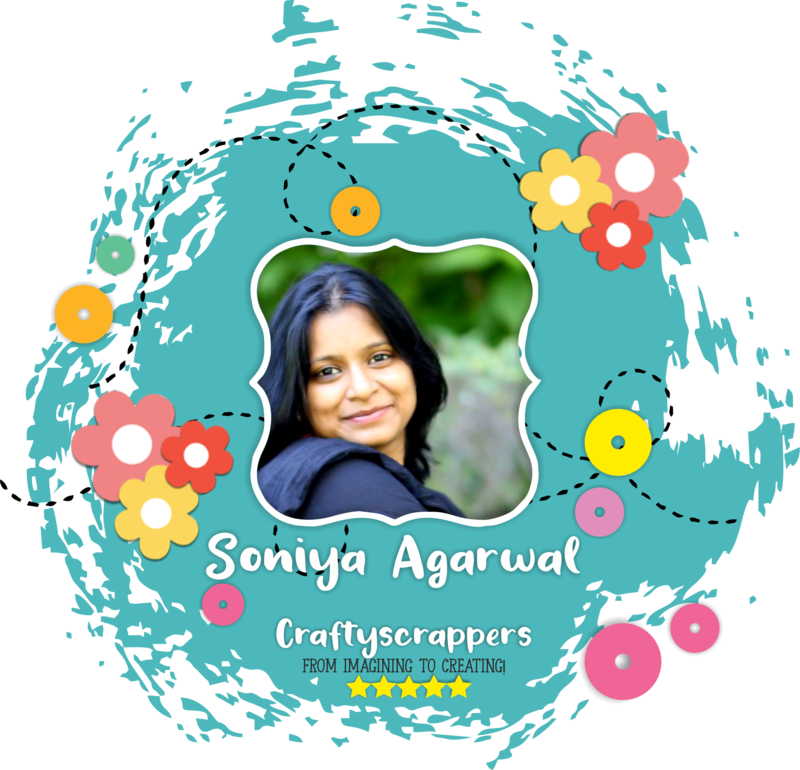 Shimmer pastes where the first mixed media products launched in India by our favorite craft store- @craftyscrappers and its a must have!!! 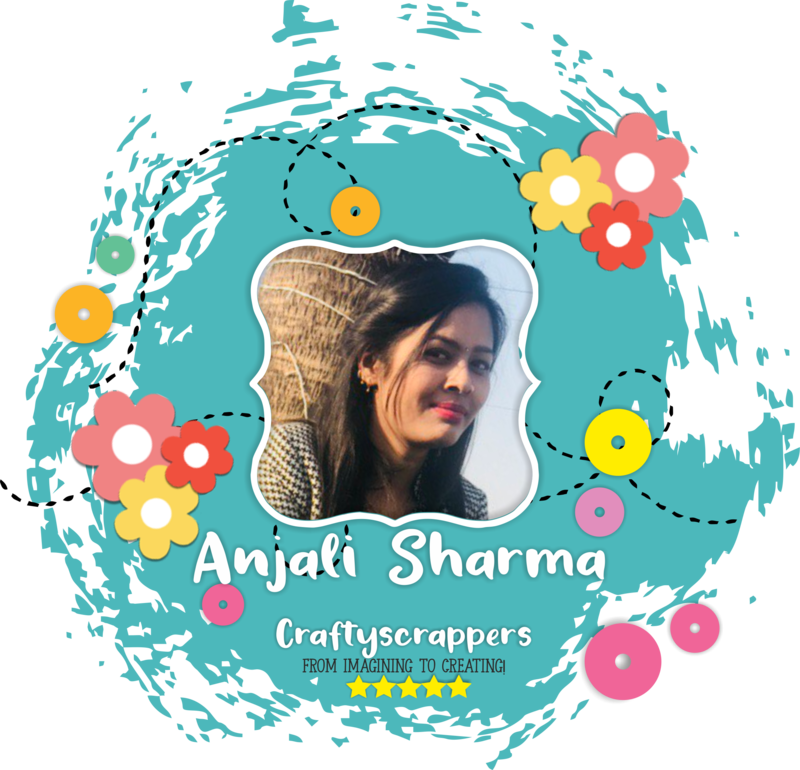 Lets talk about @craftyscrappers stencils, they always bring unique and versatile products that are economical and can be used in a variety of craft projects, and the stencils are one of them aswell. they have it all.,.. think about everyday stencils-they have it… festive stencil-they have it and they also recently came up with 3d stencils… all in one place. 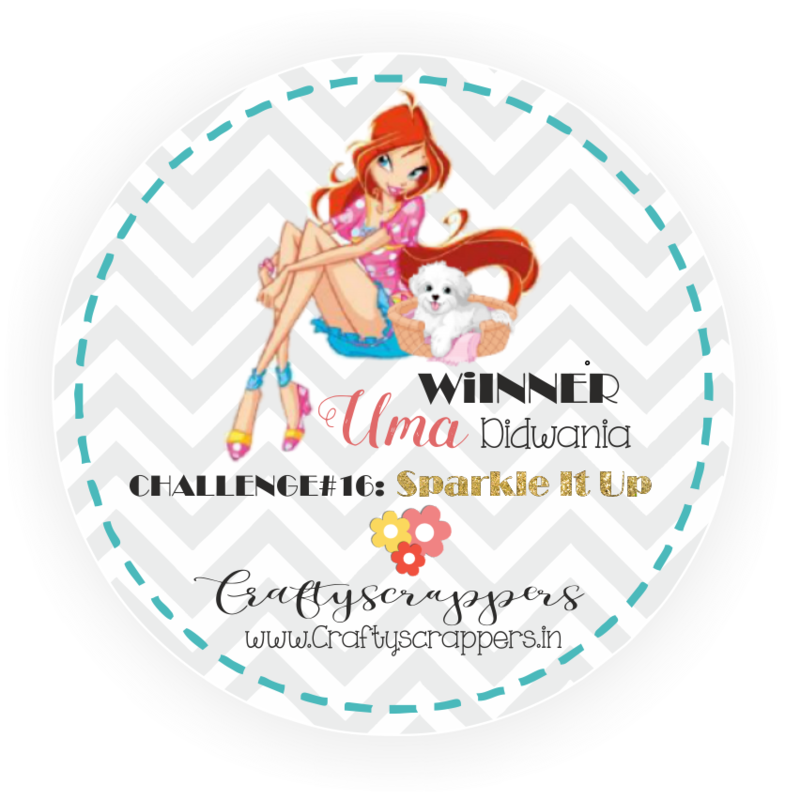 To create the background i have used the fabulous shimmer spray-RUSTY DENIM, that leaves “the awesome ” expression after use. Love the effect the shimmer pastes gave, its just awesome!!! simple but elegant look, isnt it. I took blank white cardstock and colored it using shimmer spray called “Rusty Denim”. Next I cut down that cardstock into pieces and stick it on tag. To give depth to the collage I added little bit of black paint around the edges and to add shimmer or sparkle I also used fun foil-glitzy gold randomly. and I also spread same shimmer paste using fingers.Once the shimmer paints dries completely I glued down fiber rings (Circles) on the tag. Next I fussy the stamped image and placed it on tag. To finish the project I glued some stones on a tag. So That’s all from my end today.I hope you like this easy to create festive mixed media tag. 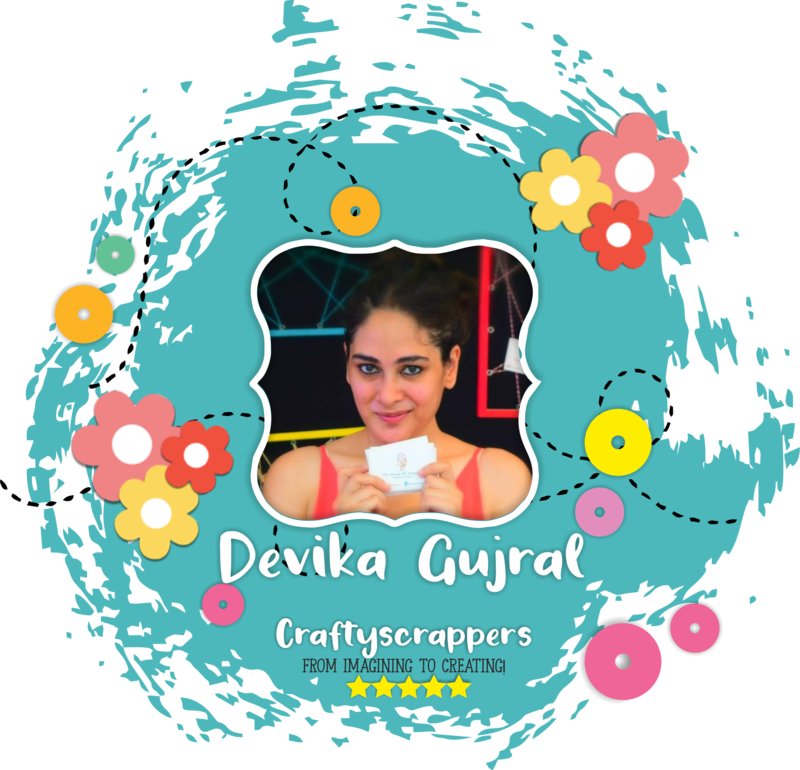 with an inspirational post, where i will be Sharing with you all ,a very elegant.. Beautiful and a very simple to make,Mixed media card. White and Gold is a very classy combination and so today have kept this card clean,simple and elegant. This “feathers” Stamp set, is very pretty and have some really nice coordinating sentiments. The peacock feathers dress itself is a masterpiece here and i had so much fun creating my card using this stamp set. The card base approximately measures 6.5 * 6 inches. to add some texture i used texture paste through the leaf stencil and colored it using gold wax. Next stamped the image on to a smaller panel using watermark ink pad and embossed the image using gold embossing powder,did the same with the feather image from the same stamp set and fussy cut them. Stuck a gold and white pattern paper on to the card base using foam tape and tore the paper in random places for the stencil work to show. then added the stamped panel again using some foam tape. added some cheese cloth which i coloured using some gold butter choclate shimmer paint. and finally addded the fussy cut feathers and some seed beads. So That’s all from my end today.I hope you like this easy to make mixed media CARD. 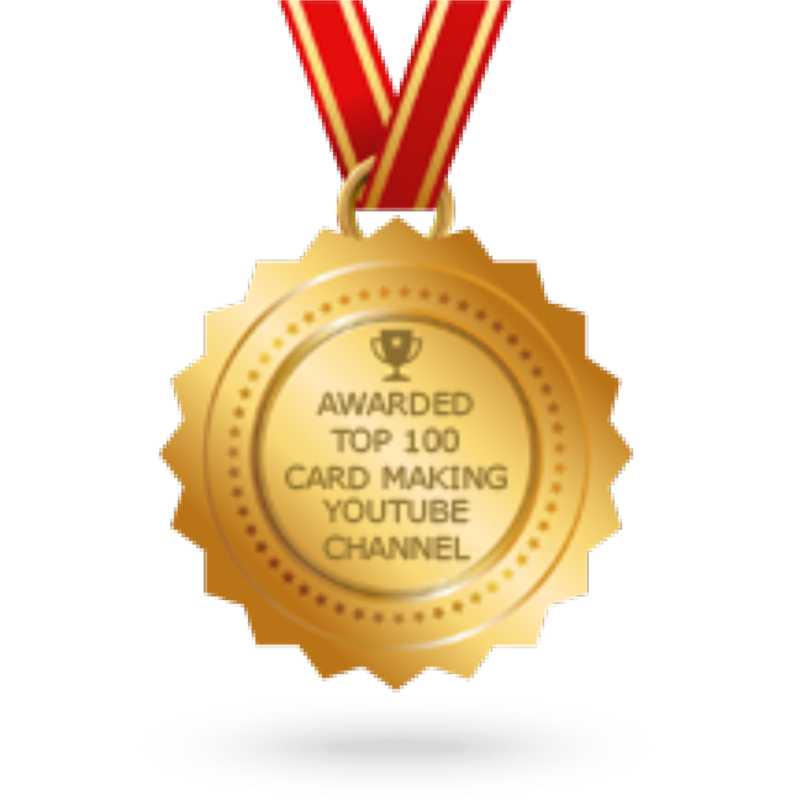 YOU ARE SO ENCHANTING GOLD FOILED CARD:By GDT PRIYANKA KANTAK-a step-by-step tutorial! 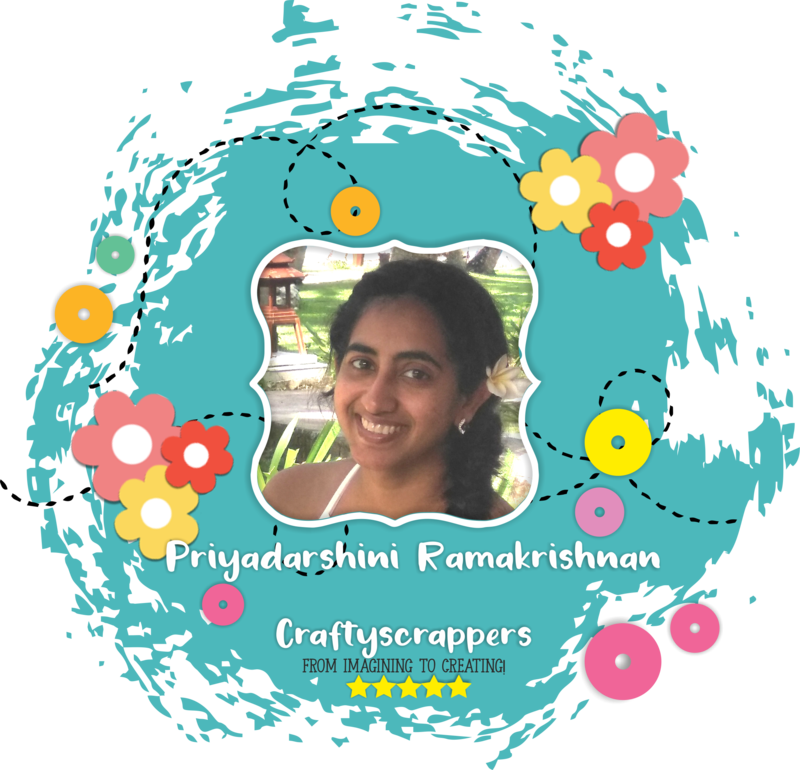 and I am Guest Designing for Craftyscrappers today! and today i have an interesting tutorial to share with you all! 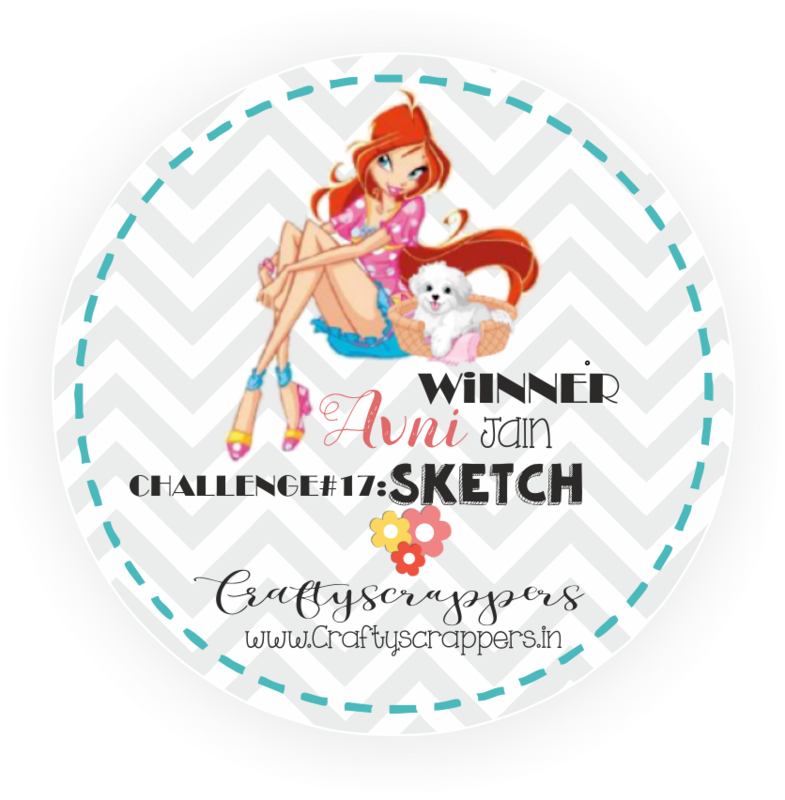 1st is the April Product Release Giveaway! 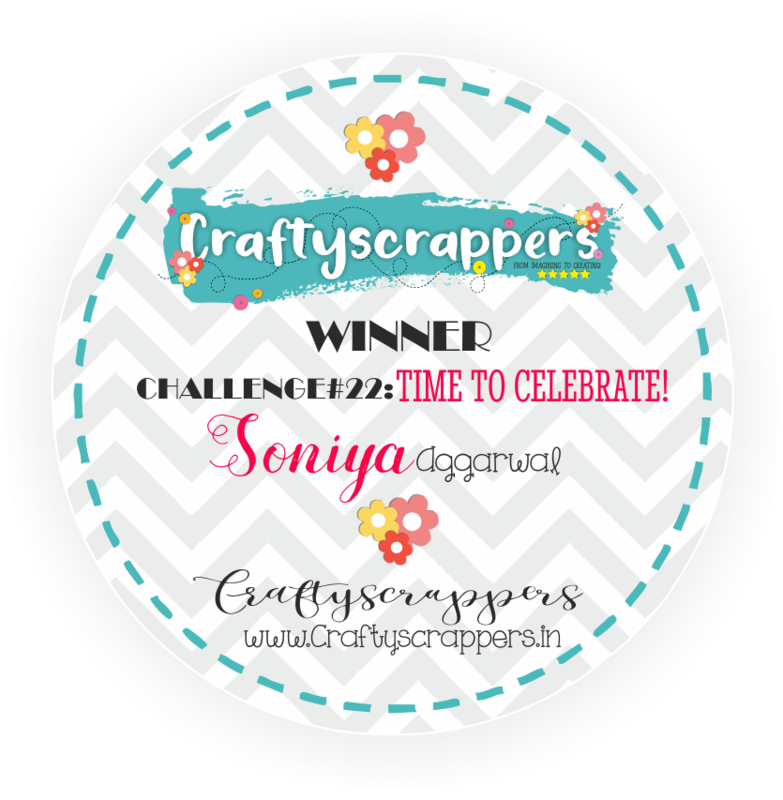 and 2nd is Celebrate with Craftyscrappers Giveaway! where you can win lots of fun prizes and goodie bags! Sounds Fun!!! 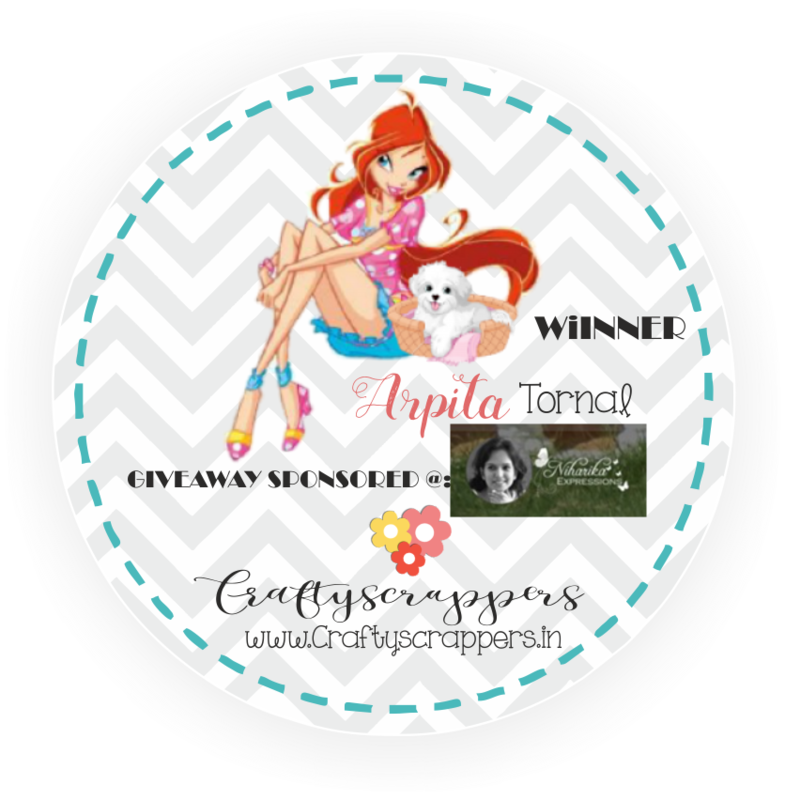 Check out the full details about the Giveaways here. 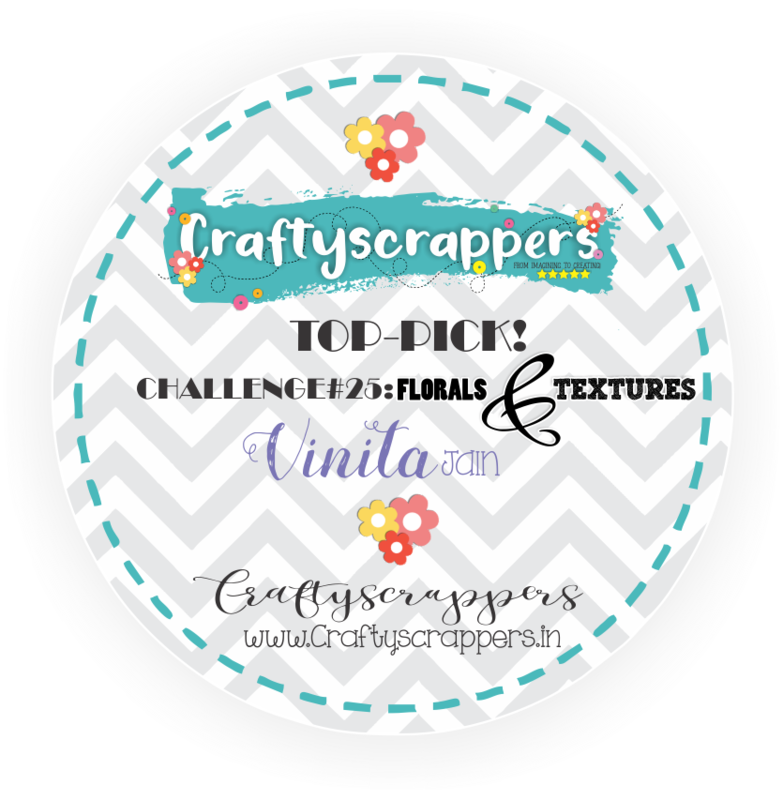 So back to my tutorial now… And today i have a very special post where i will show you technique to use Craftyscrappers Fun-foils with stencils without any heat or laminator machine! 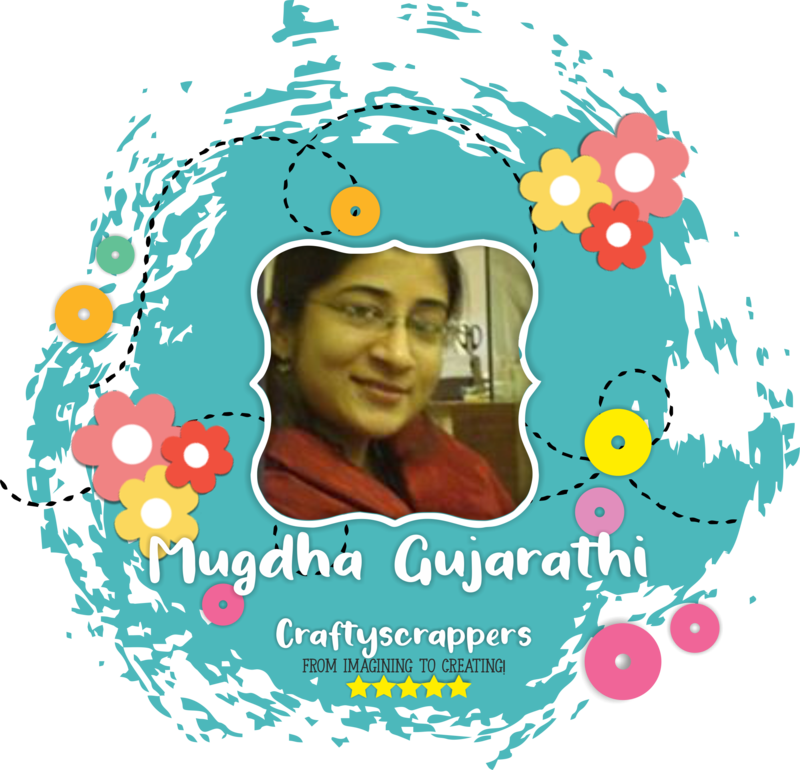 I am really grateful to Konica for giving me this opportunity! I am so thrilled to be a part of the Guest Design team. The images in the stamp set are so cute and remind me of my favorite fairytale from childhood, Cinderella! The Hearts stencil is 4 x 6.5 inches in size. Such a small size helps to easily use it in the different parts of the card panel without adjusting. The simple & sweet design can be used for different cards. Fun Foils are such an easy way to add shine to our projects and can be used with their Fun Foil glue and even double sided tape. I distressed the entire panel of white cardstock with Worn Lipstick Distress Oxide and sprayed a mist of water on it. I sponged Craftyscrappers Fun Foil Glue over the Hearts stencil with a blending tool. After that I placed the Glitzy Gold Fun Foil on the sponged part and pressed it using my bone folder on both sides of the panel. I also ran the panel along with the foil through my Big shot machine for added pressure. The Fun Foils give instant shine without added effort! I stamped the princess image, colored it and then fussy cut it. I assembled everything on the card along with a die-cut white scalloped frame while foam mounting the princess image. I also white heat embossed the sentiment on black cardstock. Hope you liked the tutorial. Don’t forget to join in Craftyscrappers craft challenges,(details at the beginning of the post!) and their awesome giveaways!! !